Wish there was a way to get outside, take in some fresh air, get a little exercise, and do a little treasure hunting with the family? If you’ve got a GPS device or a GPS-enabled smartphone app, believe it or not, you’re already 90% of the way there! Similar to a scavenger hunt, you use coordinates and details available online to search for “caches” hidden by fellow hobbyists. These can range from large ammo cans tucked away in the woods, to small magnetic key holders stashed under a park bench, to virtual caches that require finding the answer on an informational sign. Some members get very creative with their hides, and will camouflage containers or make them blend into their surroundings. The second site commonly visited is called “TerraCaching“. This is more of a destination-based game, with points awarded for hiking to and visiting certain locations, solving puzzles, etc. Very similar to Geocaching, though there are fewer caches placed and new membership requires being sponsored by existing members. There are also leaderboards to compare your stats to other cachers. The third, and now defunct site, was called “OpenCaching”, and was officially run by Garmin, a GPS device manufacturer. They have since closed the site and now redirect traffic to Geocaching, whom they have partnered with. As far which site to choose, that’s better left as a personal preference. There are advantages and disadvantages to each. The best thing to do would be to check out Geocaching and TerraCaching on your own, view the available caches in your area, and see which game you prefer (or maybe even both). And if you don’t have a GPS unit, don’t worry. 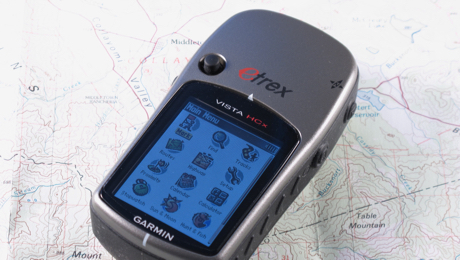 As technology has progressed, the need for a standalone GPS device has greatly diminished. The chances are pretty good that your smartphone has one built-in, allowing you to hunt for caches, view details and hints, log your finds, and more — all from one device. However, a handheld GPS can be useful if you want the advantages of longer battery life and/or protection from the weather. As far as which GPS unit to choose, that could take up another entire blog article. Get out there and enjoy the great outdoors!